Business description - Arihant Institute is engaged in providing coaching & educational guidance for students appearing for professional course – Chartered Accountant, Company Secretary and CMA. The company provides the coaching and guidance from Entry level test exam till final exam and covers all the subjects in depth with test series to improve their confidence and overall result. The company has given education to more than 10000 students appeared for professional & Graduates exam so far. The institute’s student strength has improved and it has produced 205 National Rankers in CA Inters and Final Courses, 2000+ Chartered Accountant and 175+ Company Secretary. 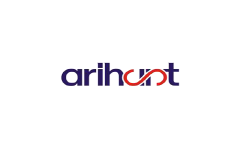 Arihant’s premises is spread over 9,500 sq. feet and includes 8 air conditioned class room, well equipped library, canteen, staff room, 2 studios, back-up lab, conference room and large administrative blocks. Arihant Institute IPO allotment status is now available on Karvy Computershare’s website. Click on this link to get allotment status. The expansion is totally a aura that is created. the amounts collectable will only be used for the resolving the previous downfalls. No big plans for an expansion on broader levels. How revenue decline last year compare to FY 2015 ? Because competition has increased and students are now going for online learning. It is a failing business model, good for promoters but shareholders have only lost money in education stocks.